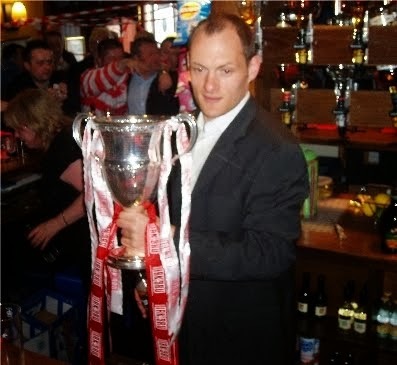 Accies Blog: What do you mean Accies aren’t playing now until August! What do you mean Accies aren’t playing now until August! May be you had thought Accies were just going to keep playing all summer but I’m sorry it is now officially the close season. For the players it’s been a really long season with the addition of the play – offs and I’m sure they are off on well-earned breaks. The season started way back in 2013 with a friendly away to Spennymoor on the 18th of July. I missed that one so for me and a number of Accies fans the first game was a couple of days later when we played East Fife on the 20th. Seems like ages ago that I was sitting in the summer sun wondering where Methil Power Station had gone! But instead of finishing with the Morton game on the 3rd of May we have had an extra 3 weeks of excitement, nail biting, squeaky bum time to go through. However until next August, unless there are pre season friendlies, I’m sorry it’s an Accies less summer so what are you going to do? I used to go down to the ground peer over the fence at the Sainsbury end and watch the grass grow. Cant do that any more with the 3g pitch. There is the World Cup for those fanatics that like their international football but unless there is a team with red and white hoops and a player with a passing resemblance to Jason Scotland I’m not sold. You could always support England of course. Last year we had the Olympics but the beach volleyball proved too much for me and by the time the Commonwealth Games come round we will have kicked off again. You could take up another sport like subbuteo or coarse fishing but many of us are couch potatoes. Of course if you are a season ticket holder you can plan a trip to the ground to renew. Perhaps if you ask Scott Struthers nicely he will let you sit in your seat just to try it out. You can monitor the media and social media to see who is coming and going as Alex reshapes the squad for the premiership. Personally I’m going to watch the game against Hibs over and over and over again. So see you all in August. If we are in the first round of the League Cup then it's the second of August, if not the SPFL kicks of on the 9th. 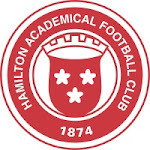 And for those of you who cant wait for a live game of football then you will be pleased to know that Brechin are playing Aberdeen in a pre season friendly on the 25th of June and that is less than 5 weeks away.